Welcome to Capital Exhibits. 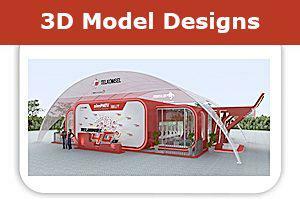 If you’ve been hoping to hire a professional interior or exterior 3D rendering designer, graphic designer in NE to assist with trade show booth concepts, you can end your search here. Ask about our poster printing services on variety of media. Since 1994, our team has developed and manufactured trade show displays for a wide range of companies, and we’d be glad to make you a satisfied customer in Lincoln, Omaha, Bellevue, Grand Island or Kearney, Nebraska, NE. Our 3D designers and print graphic designer can turn around a design in one day if needed. First, we take the time to get to know your business and understand the goals you have for the event. Through our educational background in graphic art design services and photography, as well as our up-to-date knowledge of 3D design & graphic design trends and techniques, we come up with the best graphic design idea for your specific needs and vision. From generating tee shirt concepts to talking print design pricing, exhibition booth, business card, flyers, we are upfront and efficient in all of our business communications. One of the things we’ve found to be most important to the successful Building of Your Best Image is speed. Your graphic designer, 3D modeling rendering design, poster printing services, banner design artists and graphic design contract will all reflect a commitment to timely management of your project, which we strive to deliver within days, not weeks, and on the budget set in the beginning. Especially for those who frequent the trade show circuit, this reliability is key. If you’re in need of the speed, but want to further reduce graphic design quotes and rates as well as the need for storage space, consider one of our rental options. No matter what you choose, you’ll benefit from working with Capital Exhibits, a leader among professional graphic design firms. 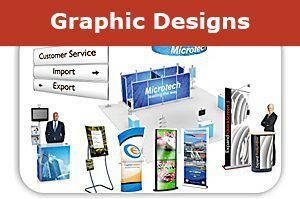 You have a vast range of choices when you go through us for trade show graphic design. We can supply a small, highly portable tabletop display, or something spanning 50 feet when you want to draw eyes and make a lasting impression. You’ll enjoy the versatility of display styles, from pop-up to wall hangings to hybrids. We also supply accessories like lights, table linens, cases and literature racks. When you’re deciding on your order, feel free to search by price, specialty and many other categories. Rest assured that, before finalizing your order, we’ll send electronic proofs for your full approval. Capital Exhibits is proud to comprise a group of contemporary graphic designers and hold a spot among top graphic design companies. If you need a graphic designer in Lincoln, Omaha, Bellevue, Grand Island or Kearney, Nebraska, trust no one but the best. It will be our pleasure to provide you with the utmost in exhibition and fair graphic design.